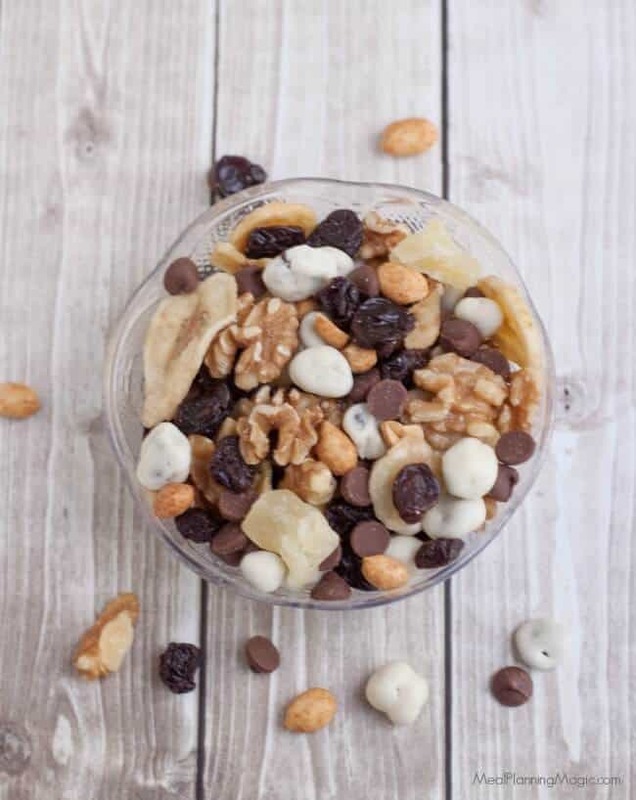 My Banana Split Trail Mix is full of protein and nutrient rich nuts and dried fruit like banana chips, pineapple cherries and just a touch of chocolate. It’s the perfect combination of salty and sweet! Can you tell I’ve been on a trail mix kick lately? 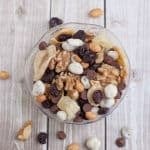 A couple of months ago, I shared with you my Black Forest Trail Mix and more recently the Good For You Trailmix Coleslaw recipe. 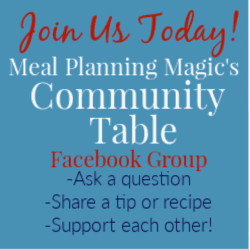 I love these kinds of recipes because they’re kind of a make-it-what-you-want-it recipe and you can customize it however you want. 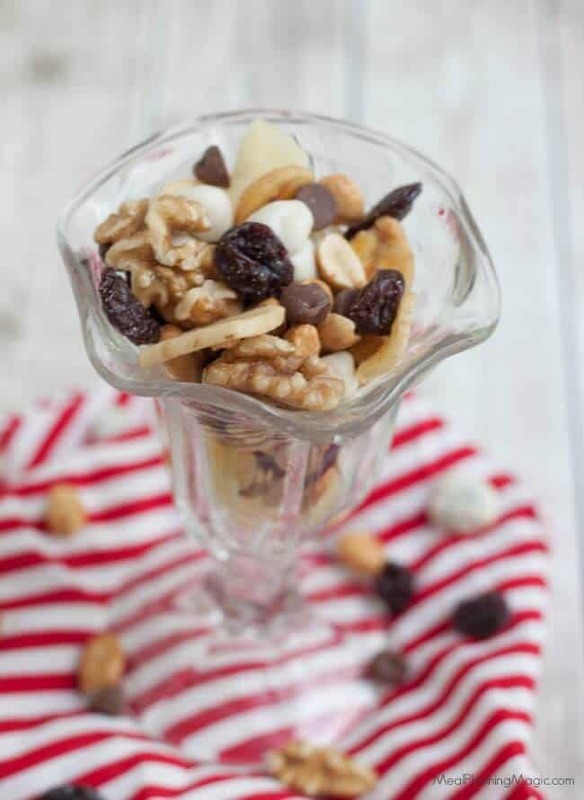 I was inspired to create this Banana Split Trail Mix after purchasing some banana chips and dried pineapple at my local Aldi’s. They have great prices on dried fruit so it makes creating these kinds of snack a bit more economical. 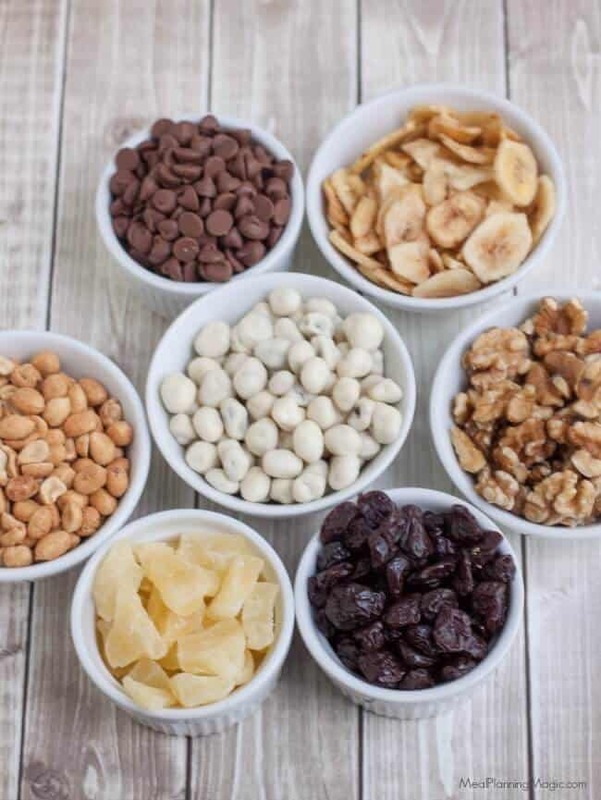 And let’s be honest, even the premade trail mixes are not all that cheap but since they are packed with more power packed nutritious foods like the nuts and dried fruits, I like to make them because a little goes a long way in terms of satisfying my snack cravings. I’m going to be honest, this trail mix has a bit more sugar in it than my Black Forest Trail Mix so feel free to customize it and leave something out if you want to lower the sugar content. The dried bananas, pineapple and yogurt covered raisins have the most sugar so you might start by eliminating one of those. As I’ve mentioned on my blog before, I like to buy my dried fruit at Costco or ALDI when I can. Did you know that Aldi does not sell any foods with artificial coloring? That’s what I like about their dried fruit because many larger, well-known brands have artificial dyes. But they’re not necessary at all! The brands of dried fruit I buy at Costco often have no added coloring as well. 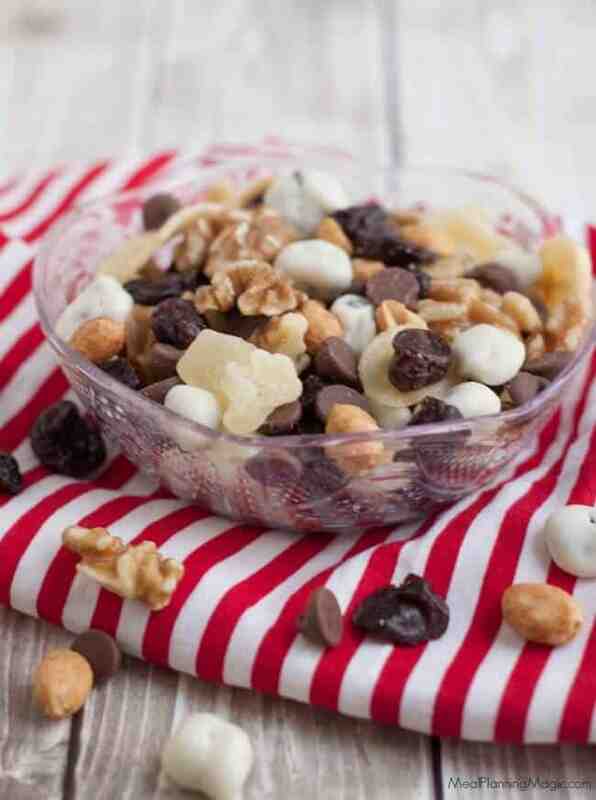 This Banana Split Trail Mix can easily be doubled or tripled if you are making it for a crowd but the original recipe actually makes a lot making it a perfect snack for any occasion!